The Asian Corporate Governance Association (ACGA) is an independent, non-profit membership organisation dedicated to working with investors, companies and regulators in the implementation of effective corporate governance practices throughout Asia. ACGA was founded in 1999 from a belief that sound and improving corporate governance is fundamental to the long-term development of Asian economies and capital markets. CLSA has been a Founding Sponsor of ACGA since 2001. 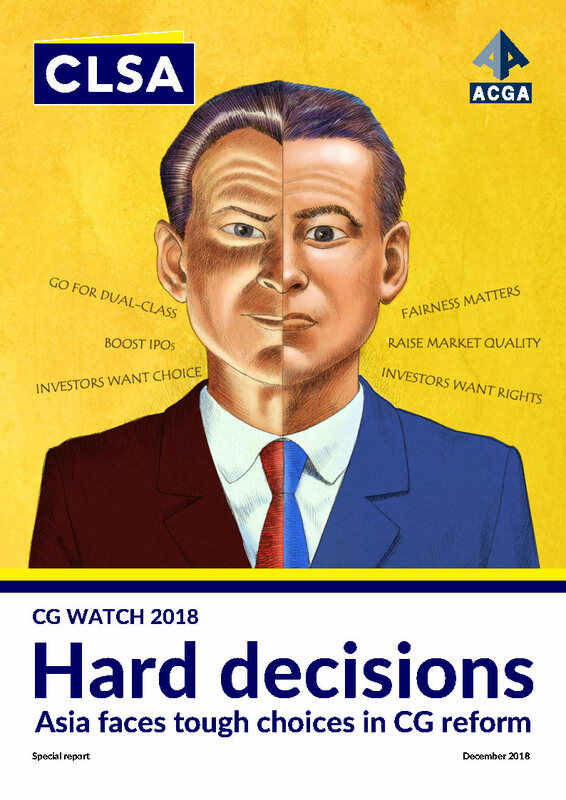 Its long-term support has been vital in helping the Association undertake broad-based research on corporate governance in Asia, in particular "CG Watch", the collaborative survey we carry out every two years with CLSA. We also extend our thanks to CLSA for being a Principal Sponsor of our annual conference every year since the inception of the event in 2001.